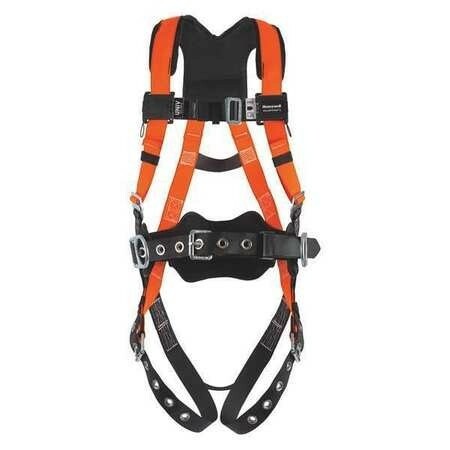 This durable, Titan™ II non-stretch harness provides affordable, lightweight fall protection for workers in general construction, manufacturing, oil and gas (refinery) industries, and similar fields. The harness features easy, vertical adjustability that stays in place, and a slip resistant back D-ring pad. Forward-positioned side D-rings help keep your tool bags in the right place for easy access, while Hi-Viz orange color webbing helps provide improved visibility for increased worksite safety.